A plant's defense systems are cooperative—when one system fails, another one can take over, at least in part. Researchers at the Norwegian University of Science and Technology 's (NTNU) Department of Biology have been collaborating with colleagues from Imperial College London and The Sainsbury Laboratory to discover more about how plants defend themselves. Their results have been published in Science Signaling. A plant's cell walls function as an outer skeleton that protects them against threats. This structure is vital, and therefore, plants have developed mechanisms that monitor the cell walls and detect when they are being damaged. When a cell wall sustains damage, the plant will normally try to minimize the damage and repair it. The goal is to restore the plant's normal state, or equilibrium. The plant needs to respond differently depending on the type of threat. Initially, the plant is not able to discern whether the damage to the cell wall is being caused by drought or a disease, for example. So how can plants identify the danger and provide the right response? Associate Professor Thorsten Hamann at NTNU has been central to finding the answer to this question. "Drought requires a plant to adjust its metabolism, whereas disease requires the plant to activate various immune responses," explains Hamann. Different chemical processes are involved depending on the threat. Physical damage to the cell wall demands a completely different immune solution than disease does. 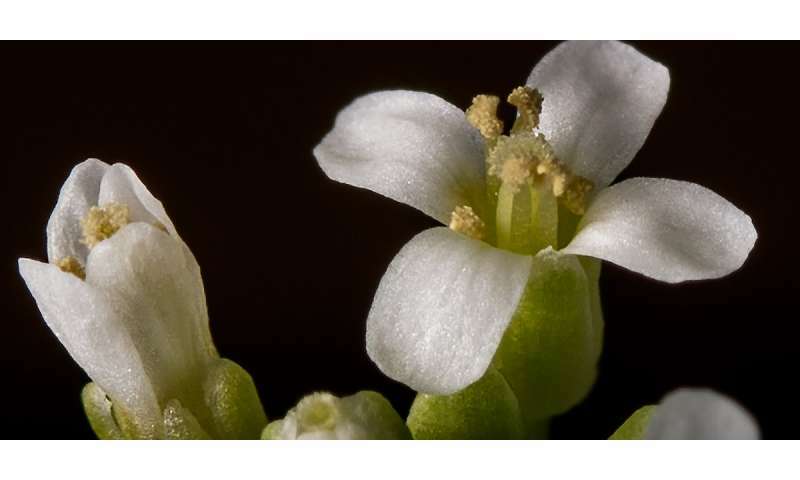 The researchers exposed thale cress (Arabidopsis thaliana) to various injuries to see how the plants would react. Thale cress is a fairly common vascular plant in the Brassicaceae family. It is usually an annual, fairly easy to grow, and the 30,000 genes of the species are fully mapped. Thus, the species is often used as a model organism by researchers to provide insight into biological processes. Their hope is that the results will prove valid for other species, as well. The plant's cell walls consist of proteins and assorted sugars (carbohydrates) such as cellulose, pectin and lignin. The researchers attacked some of the plants with enzymes that break down the cell walls. Other plants had a substance added that inhibits the formation of cellulose. The researchers then investigated the plants' chemical responses. They disconnected 27 genes to observe the effects. Five of the genes were important in maintaining the equilibrium of the cell walls. The experiments provided a basis for identifying multiple enzymes (kinases) and channel proteins involved in the plant's defence mechanisms. A number of genes are involved in producing these substances. The most interesting finding seems to be that two defence systems can act as a kind of backup for each other. "We found that if we blocked the plants' immune response, the mechanisms that maintain balance in the cell walls could partially compensate for this blockage. They became a kind of reserve defence system," says Hamann. The article in Science Signaling provides a considerably improved understanding of relationships in which external influences trigger specific reactions in the plants. "We can see how different physical influences trigger different specific chemical responses," says Hamann. Knowing that, it's easy to see that humans can influence plants to react in certain ways. The results also have practical utility in addition to being interesting basic research. Knowing more about the various defence mechanisms in plants opens up new possibilities for solutions that may help plants' ability to resist different threats more effectively. The results of the thale cress experiments could play an important role for agriculture, such as in cultivating rice and corn strains that produce better crops. Annually, more than one billion tonnes of maize are produced, and rice production is around 750 million tonnes. Many people and livestock rely on these plants as a central part of their diet. Large populations stand to experience especially tangible value from this research.